The video and image pinboard site Pinterest recently revealed that they would begin rolling out price drop email alerts. For users, the alerts will serve as a handy little alert to the latest promotions on products they’ve pinned. For businesses it’s a free, personalised email marketing offering coordinated via Pinterest. A great addition for all, I’m sure you’ll agree. After the fuss, it's fizzled out. Facebook has launched hashtags, but are they working? Perhaps I follow people and brands that don’t realise that hasthags can be used, but I think it's more likely they just don't give a monkey's about them. Honda's campaign was simple: tweet the reasons you hate your old vehicle and use the hashtag #wantnewcar. 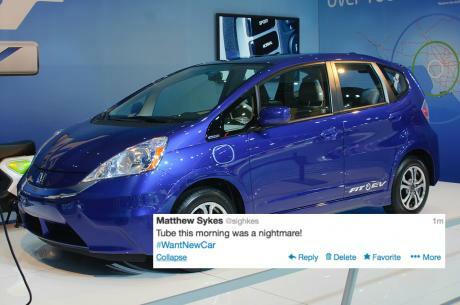 The car giant then responded to individual gripes with entertaining videos posted to Vine and embedded in the company's tweets. It was a big hit, but just how did they do it?